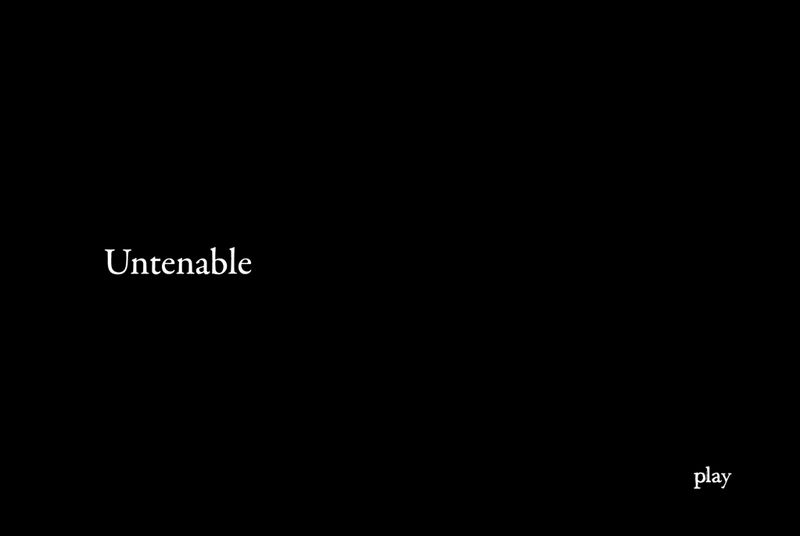 Untenable is a multi plot narrative that explores the results of introspection that occurs in each character when something disturbs the status quo. This was done through high key illustrations depicting a bleak dark world. Four looping stories run simultaneously, and depending on which story the mouse cursor is closer to, the audio and picture are emphasized. This was a group project for the Masters of Digital Media program. I worked on the art team and completed the opening title sequence. Seeing as this was our first major project at the MDM program, I learned a lot about time management and group work.